On Thursday, November 8, 2018, AmCham Ghana under the auspices of the U.S. Commercial Service, Ghana, hosted a dinner with Ian Steff, Asst. Secretary for Global Markets & Director General of U.S Commercial Service. The event was at the Accra Marriott Hotel. 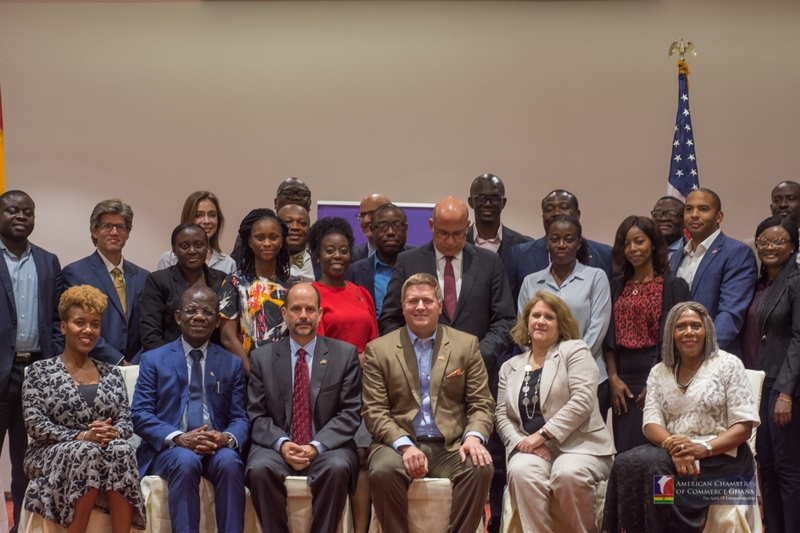 Ian Steff is in Ghana to follow up on the MoU signed between United States President’s Advisory Council on Doing Business In Africa (PAC-DBIA) and the Government of Ghana in July 2018. He is in to have further talks with the Ghanaian Government on the implementation of the MoU. In his remarks, Ian Steff stated that there is a lot of optimism among U.S. companies and investors are impressed with the new reforms being implemented by the Ghanaian government. The question now, he said is “how these reforms will take the deal to the finish line.” He called for certainty on these reforms. “No one company, no one individual can solve the issues we have. We need to dialogue,” Ian Steff added. He said there needs to be consensus in strengthening trade relations between Ghana and the United States. 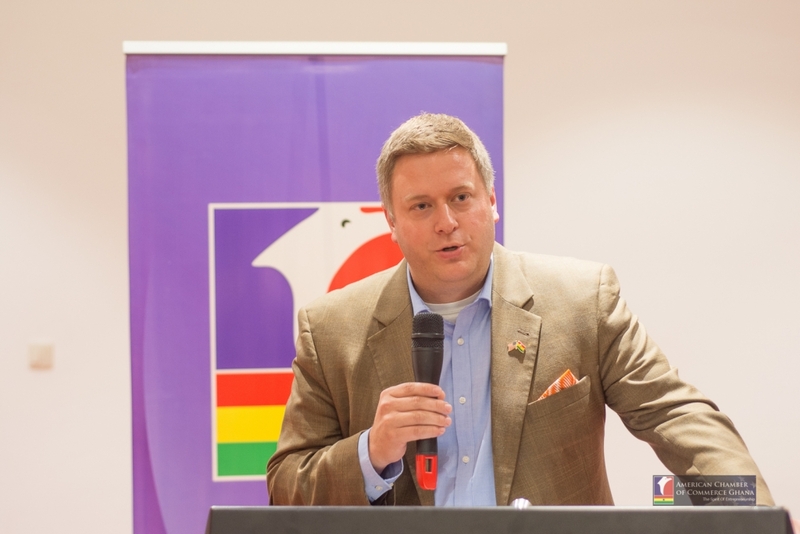 Ian Steff also commended the Chamber and stakeholders involved in organizing the maiden AmCham U.S – Ghana Business Forum in July 2018, stating the importance of these face-to-face meetings and their relevance to improving the investment environment and further strengthening trade relations between the two countries. According to EY Global’s 2018 Africa Attractiveness report, United States businesses and investors made more foreign direct investments (FDI) in Africa than counterparts from any other country last year. Overall, African countries saw FDI number rise by 6% to 718 projects up from the previous year’s 676. 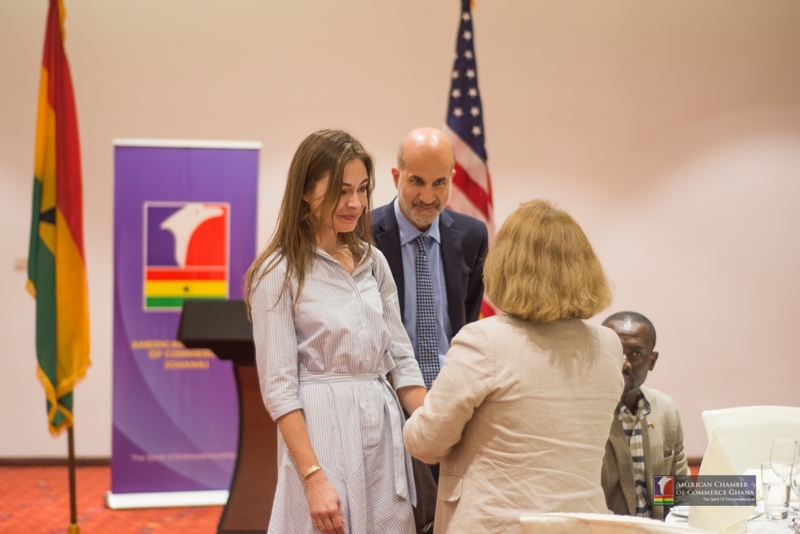 U.S. companies are interested in investing in Ghana, according to Ian Steff; U.S. investors have expressed interest in the areas of health, energy, agriculture, transportation, and other vital sectors. He stated that the United States’ commitment to Ghana is for the long term. He also called for honest conversations on trade barriers. H.E Christopher J. Lamora, Chargé D’affaires (Acting U.S. Ambassador to Ghana), stated in his remarks that the embassy is ready and willing to work with stakeholders to promote U.S. trade in Africa, project the positive aspects of Ghana and why investors should invest in the country. H.E Lamora also said the embassy is positioning itself to be the go to place for investors seeking to invest in the country.